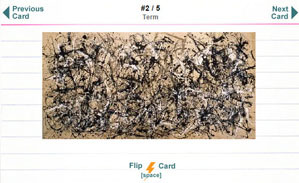 A free service for creating web-based study flashcards that can be shared with others. With over 121 million flash cards created to-date, Flashcard Machine is your premier online study tool. 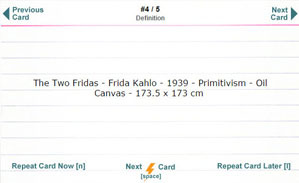 Create flash cards to study for your next exam. Share them with your classmates and friends. 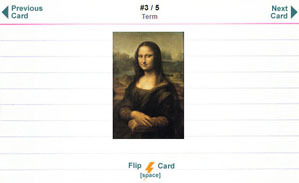 Create flash cards for your students. Build customized pages for each of your classes to better organize your cards. Create flashcards for your certification exam, court case, etc. Share them with your colleagues. Millions of user created and maintained flashcards. Explore by Subject, Education Level, Author, or Keyword. A continually growing supply of flash cards. Allow other users to work with your sets or contribute to an already existing set. Great for Students looking to work together in groups. 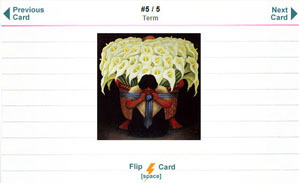 Flashcard content allows for a wide range of media items. Upload audio or record audio directly from your browser. Manage images locally or link them from external sites. Choose from 2 study modes. Standard Session; review and then flip and continue, or 4D Session: learn cards over time based cycles. A newer addition to our study tools are games, study and play. Classic Multiple Choice Quiz, Speed, and Pop Quiz. We offer a wide range of sharing capabilities, create a private URL to share a single set, establish Flashcard Page to share multiple sets, or share your set within the Flashcard Library. Added Pop Quiz and Speed games. 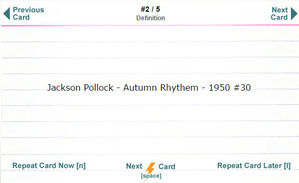 Flashcards are now restorable to an earlier version if accidentally deleted. 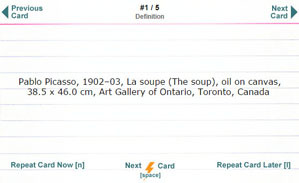 Users can now collaborate with other users on a flashcard set. Added study reminders to saved study sessions. Added time-based 4D study mode for maximum retention of information. Added auto-flip to iPhone app. Flashcard Machine now available on Kindle®. Enhanced audio features to allow recording from microphone. Added one side at a time option for index card print mode. Added Quiz Me mode to Android app. 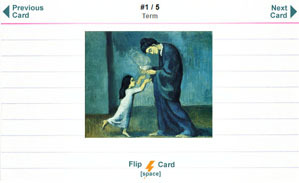 FlaschardDB favorites can now be added to Flashcard Pages. 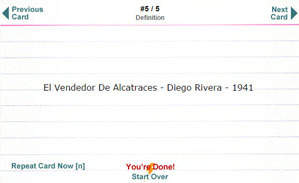 When studying in ascending or descending order, you can now specify which card # to start from. Redesigned the Flashcard Library and added the ability to rate sets. Cards can now be uploaded from the mobile apps to the web site. We now have an app available in Android Market. Improvements to the Quick Editor. We now offer an ad-free version of the site for supporting members. Added a getting started guide. Saved study sessions can now be accessed via My Sets. Added the option of creating folders for organizing cards. Favorites can now be synced to the iPhone® app. Added a multiple choice quiz feature. Enhanced the import feature to support XLSX files. Added the ability to move/copy flagged cards between sets. Auto-flip can now be paused during a study session. Additional printing options to support six cards per page and 5x8 index cards. Added an option to set a default alignment for card content. 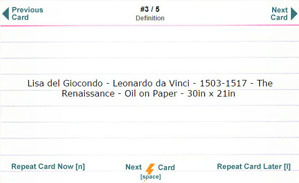 Added additional printing options to allow printing of only flagged or specified cards. Sets on Flashcard Pages can now be printed. Favorited sets can now be included in multiple set study sessions. 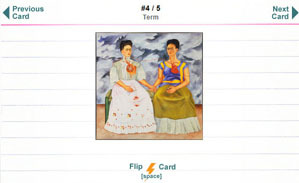 Read-only flash card sets can now be favorited like those in the Flashcard Library. Added printing support to read-only sets. Added a spell checker to the advanced editor. Supporting users experience an advertisement free user environment. Study, Collaborate, Edit, Play Games, use Images and Audio all ad free.